Based: Culver City Ca., factories in Newport Beach & El Segundo Ca. 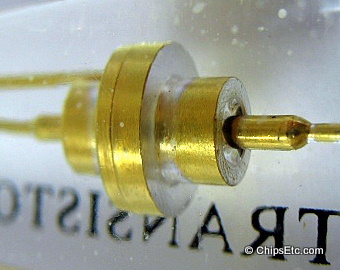 Specialty: Top 10 commercial transistor manufacturer during the 1950's. Developed first the ion-implanted, self-aligned gate metal-oxide semiconductor (MOS) field effect transistor (SAGFET). Manufactured Germanium & silicon diodes for commercial & military use. ​This is a Hughes Transistor (of Newport Beach Ca.) gift in the form of a letter opener which has two discrete gold plated Hughes Transistors embedded inside of it's clear Lucite handle. These are military / aerospace grade transistors due to the amount of gold plating used in their manufacture. Hughes was a newcomer to the transistor manufacturing business starting in the early 1950's. By 1955 Hughes was in the top 10 transistor manufacturers alongside companies like RCA, PHILCO, Motorola, Westinghouse and GE. 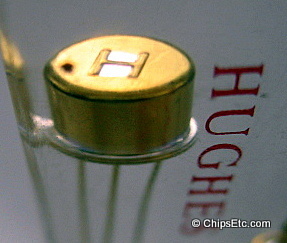 By 1976 Hughes and the majority of the top 10 companies were no longer the top manufacturers of discrete transistors. In 1948 Howard Hughes' Hughes Aircraft Company formed the Aerospace Group within the company, divided into the Hughes Space / Communications Group and the Hughes Space Systems Division. 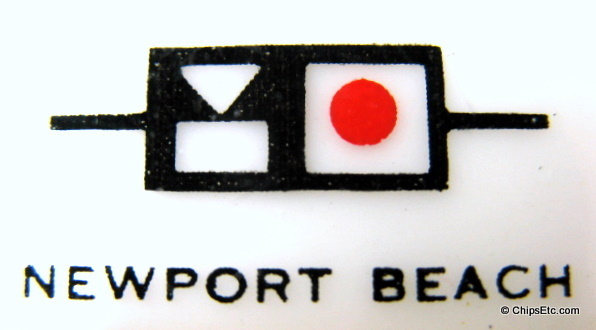 In 1958 Hughes Aircraft Company's Solid State Products Division, and Microelectronic Circuits Division specializing in electronic testing and assembly of transistors and hybrid components was built in Newport Beach, California. In 1961 the two Aerospace Group divisions were reformed as Hughes Space and Communications Company. Hughes Space and Communications Company launched the first geosynchronous communications satellite, "Syncom", in 1963. Measures 9" Long. Lucite handle. Gold plated blade. 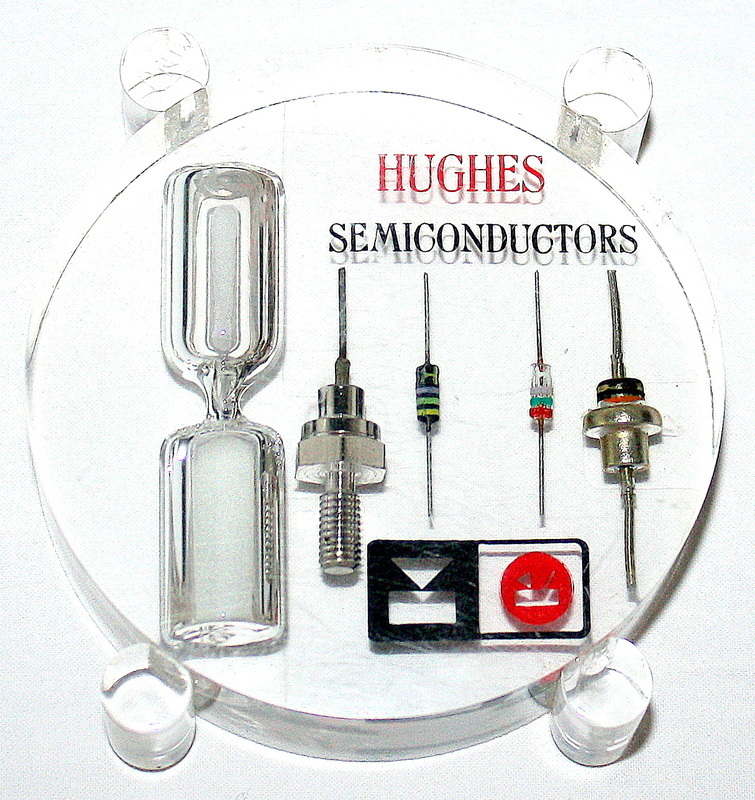 Lucite paperweight from Hughes Semiconductor features four types of germanium & silicon diodes. 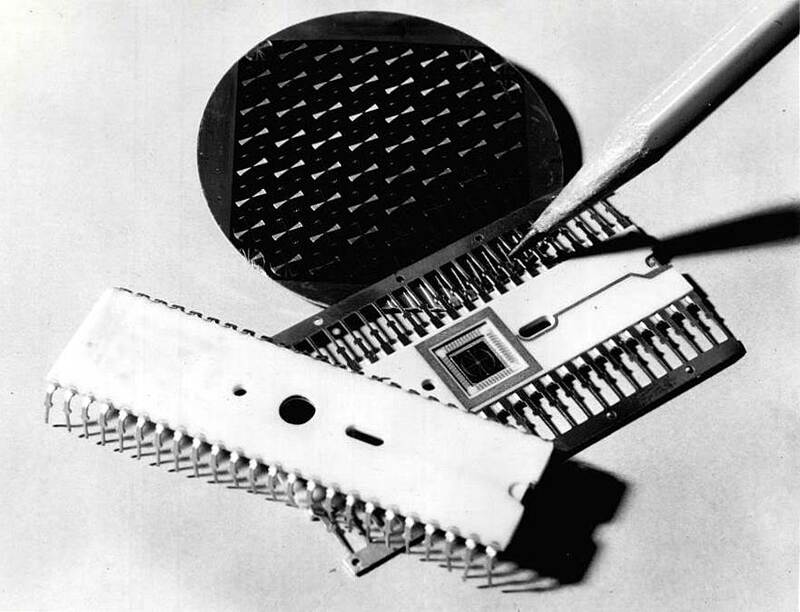 Hughes Semiconductor Division produced germanium and silicon diodes and transistors for commercial and military use during the 1950's & 60's. Measures 3" x 3" round.